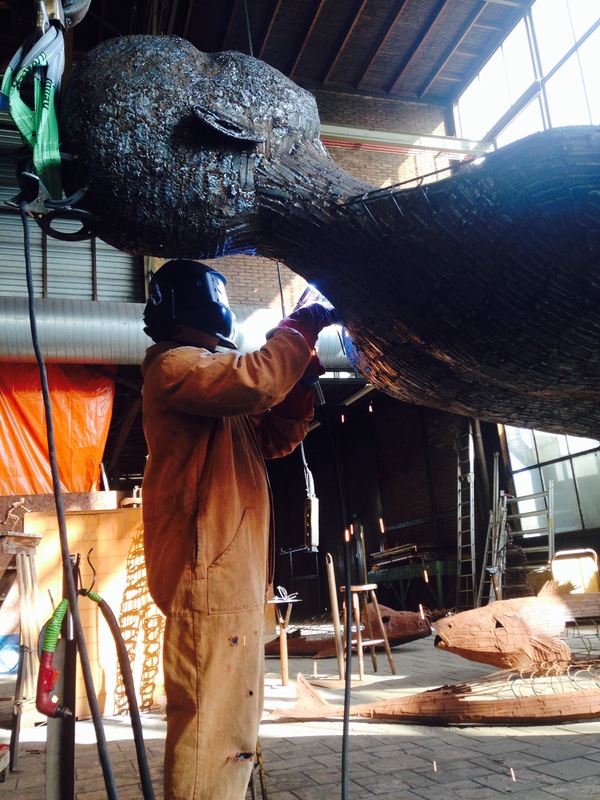 The statue consists of two metal welded 5 meter high women. One big woman, the other one slender. You can position yourself in-between these women, and take their hand. What the artist is trying to accomplish, is for the statue to reunite people. The statue represents the search for balance and exchange. This art piece is still in the making and Sense of Place wants to assist the artist, Jan Ketelaar to be able to finish it. The women are, after all, part of the trail ‘Expedition Sense of Place’. Jan was able to finance the big woman himself, but the big woman needs the other lady! And to be able to finish her, help is needed. Through a crowdfunding, Sense of Place, wants to raise an amount of € 10.000,- for Jan to be able to bring the slender lady to life. For as little as € 10 one can contribute to the realisation of this remarkable project on the Wadden Coast. kick-off crowdfunding at festival ‘Explore the North’ on the 25th of November in Leeuwarden. It runs until January 8 2017 at ‘voor de kunst‘. Help us help Jan and go to this site!